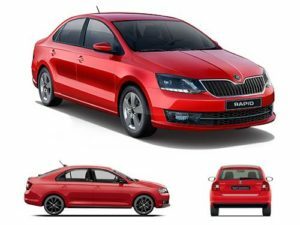 When viewed as a whole, there is a strong case to be made for the facelifted Rapid – it looks fresher and drives very well. While those looking for a family car might find more value in rivals like the Honda City or the Maruti Ciaz, those who are likely to spend most of their time behind the wheel will enjoy the punchy, relatively-more-involving drive of the Rapid. 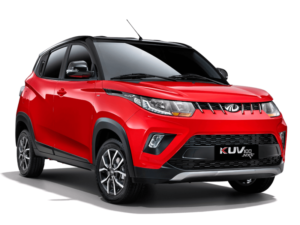 The KUV100 (Kool Utility Vehicle One Double Oh) is Mahindra’s newest member in the portfolioand the most compact passenger vehicle they’veever made. The hatchback footprint makes it one of the most compact crossoversaround. The vehicle’s unique styling is meant to appeal to the younger audience. The face features the signature grille that’s sleek, but misses out on the centre bucktooth. A clamshell bonnet gives the KUV a more premium look. In a passing glance, the headlamps will remind you of the EcoSport, but look closer and you’ll notice some interesting detailing. The lamps wraparound the entire front fender, which is unique and something we’ve neverseen done before. Mahindra says that the design has been inspired from wraparound sunglasses. The extra length meant that the engineers had to split the unit in two sections. While the main section houses the headlamp and LED DRLs, the second part is actually an extension that smartly incorporates the engine badging and side indicators. The lower section of the bumper isn’t body-coloured, giving it a dual-tone appearance. The bumper houses neat fog lamps and a contrasting silver mock bash plate too. Since the grille is small and not as imposing as its siblings, there’s a large blank portion below. This areashould have housed the registration plate in our opinion. The front track is wider than a few hatchbacks and this gives the vehicle added presence. Move to the side and it does take some time just to get used to the design. The short length and the longish front section make it look less proportionate. There’s a lot of detail on the sides too, like the character line running from the headlamp. The rear haunch is further accentuated thanks to the prominent line that runs upwards from the rear door, all the way to the taillamps. Even the mirror caps get some detailing. The side is more hatchback than SUV. The pillar mounted rear door handles are similar to the ones on the Chevrolet Beat. This gives the KUV100 an appearance of a two-door vehicle. The handle can be operated from both sides and is finished in contrasting silver so it doesn’t go unnoticed. The wheel arches are prominent and there’s cladding too (not available onthe base trim) to give it that rugged SUV look. The 14-inch wheels however, look small. Top variants get alloy wheels as standard and the design is said to be inspired by aturbine. The rear end is quite smart with the rectangular taillamp that protrudes slightly upwardssince it sits below the extended haunch line. An integrated spoiler is standard across allvariants. Moving to the interiors, the Mahindra KUV100 has a smart looking cabin with nice use of colours and nothing seems overdone on the dashboard which uses beige and piano black to good effect. The fit and finish is also excellent by Mahindra standards and there is not much to complain here. The instrument cluster is simple to read and offers basic information such as gear indicator, trip meter and odometer. There is a distance-to-empty feature available too but it is difficult to find unlike other hatchbacks as it’s in the infotainment system. The steering comes with audio and phone controls and a regular audio system with Bluetooth, USB, AUX-IN connectivity and Blue Sense app compatibility is also offered, audio quality being average with the small screen being out of place in this touch-screen dominated world. The button to turn on and off the audio system is difficult to use as it also offers four other functions, thereby requiring a careful press. Mahindra also offers mood lighting on the top variants of the hatchback and puddle lights on all the 4 doors which do help at night. The steering wheel feels nice to hold and the front seats offer good levels of comfort. A height adjustment feature is also offered. The travel range of the seats is pretty good. The KUV100 is offered with a 5-seater as well as a 6-seater layout. The 5-seater model comes with adjustable headrests at the front while the 6-seater gets fixed headrests. The rear seats on both the models get three adjustable headrests which is a good thing. On the 6-seater model, it is possible to fold away the front middle seat and use it as a large armrest which is the best use of the extra seat as safety of a third person at the front is questionable with the lap seatbelt (on the 5-seater model, there are a ton of cubbyholes in the centre). The rear seat also comes with an armrest with two cupholders. Even at the front, the number of cubbyholes and storage bins is pretty good (sunglass holder, toll receipt holder below the right AC vent and a lot more). There is a storage bin on the rear floor (in the middle) while the co-passenger seat (only on the 6-seater version) opens up for storage, it has a tray in it too. The gear lever is mounted on the dashboard while the vehicle gets a pull-type handbrake, similar to the Datsun GO. The AC (the controls are vertically stacked) is an absolute chiller and Mahindra has provided two power outlets, one at the front and one in the boot which is also accessible from the rear seat. Outward visibility from the driver’s seat is good while viewing ahead, while sidewards visibility isn’t the best due to the thick B-pillar. Even the small rear windshield and thick C-pillars cause a bit of a visibility concern at the rear. The rear seats have good kneeroom (thanks to the scooped out rear seatback which also get magazine pockets) but average legroom (the floor might be flat but at the bottom of the front seats, there is a raised floor area) which is much lesser than the Hyundai Grand i10 and even lesser than the Maruti Swift, its two chief rivals. The black cladding which houses the outside rear door knob makes things claustrophobic at the rear which is amplified on the 6-seater model as forward visibility is further reduced by the extra front seat. The headroom isn’t adequate for tall passengers and space for the shoulders is just about decent. The seat belts aren’t height adjustable and are placed low, causing another issue for tall occupants. The boot of the KUV100 is decent but will hardly fit in a weekend’s luggage for 2-3 people (the rear seats fold flat though). The ORVMs are also very small and offer a limited view of what’s behind. It was no secret that Mahindra had been developing a new family of small-capacity petrol and diesel engines, and the KUV100 is the first recipient of the new mFalcon range. The petrol engine, called mFalcon G80, is an all-aluminium, 1.2-litre three-cylinder unit, which uses a four-valve head and variable valve timing on both intake and exhaust. Pumping out 81.8bhp at 5,500rpm and 11.7kgm from 3,500-3,600rpm, the petrol KUV doesn’t stand out amidst peers for max power or torque. However, performance is more than acceptable. Sure, the KUV’s 15.13 second 0-100kph time does put it behind rivals, but if you look at in-gear times, it’s actually quicker than the Swift and Grand i10. The KUV’s relatively shorter gearing undoubtedly helps here. What also works in the KUV’s favour is that part-throttle response is pretty good, which makes ambling around town quite relaxed. However, it’s when you floor the throttle or want to execute a sudden overtaking move that this engine falls flat, quite literally. Power delivery is flat and lacks any sense of urgency and it’s only when you are in the 4,500-6,000rpm range that you get a second wind or surge. 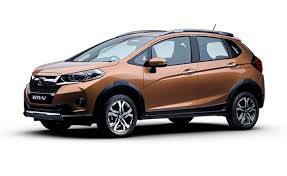 But it’s a bit pointless as average users will rarely ever push the KUV so far into the rev band. Just as well, because the engine gets thrummy and loud at high revs. Engine refinement is a bit disappointing especially the petrol engine which vibrates quite a bit at idle and rocks on its mounts. Clutch engagement could be smoother too, though the five-speed gearbox won us over for its slick and accurate action. The diesel KUV uses a 1.2-litre three-cylinder turbocharged diesel engine that Mahindra has labelled ‘mFalcon D75’. A cast iron block and aluminium head make up this engine, while diesel is fed via a common-rail system at a pressure of 1,600bar. The engine makes a respectable 77bhp at 3,750rpm, while its 19.37kgm max torque figure is on par with the larger-hearted four-cylinder Swift diesel’s output. That said, in outright acceleration contests, the KUV won’t keep up with the Swift. The KUV will hit the ton from a standstill in 14.85 seconds, while the Swift will do the same in 1.2 seconds less. But compare the KUV diesel’s performance to the three-cylinder Grand i10 diesel’s, and you’ll find the Mahindra to be significantly quicker. In everyday conditions, the KUV diesel is actually quite nice to drive. There’s minimal turbo lag and the diesel motor feels quite responsive as the turbo kicks in from about 1,500rpm. There’s a gentle surge that comes in at 1,800rpm and it stays put until 3,500rpm after which, the engine takes its own sweet time to rev harder. If you are patient enough, you can have the engine rev to 4,800rpm, but doing so only increases the noise level without any real rewards in performance. As you would have gathered, this is not an exciting or punchy engine, but one that feels well in tune with the rigours of urban driving. Taking it easy is the best approach here, and one that also keeps the engine noise levels to a minimum. During its product presentation, Mahindra stated that the KUV100 has a long travel suspension setup for better ride quality over bumpy roads.As it turns out, the KUV100 does have a pliant and comfortable ride, soaking jerks from small potholes and road undulations like a proper SUV.While it may instill confidence, be aware that the KUV100 only has an hatchback-like ground clearance of 170 mm. Mahindra is offering ABS as standard across every variant of the KUV100 while dual front airbags are also offered as optional on every variant except the top K8 variant where they are standard. The hatchback also comes with a 2-year, 1 lakh kms standard warranty which can be optionally extended to 5 years. Mahindra has a good after-sales network across the country while the service quality levels are neutral. While some dealers offer exceptional levels of service, there are some where the quality of work done is below par too. We will definitely update you with more details as soon as the updated Crossover is launched in the Indian market. But with the refined engine and better fuel efficiency and obviously some cosmetic upgrades there is no doubt the Mahindra KUV100 definitely has everything to dominate over this newly formed segment. The Nissan Sunny has never been a looker, it’s a car with neutral styling and the massive length gives it quite the presence on our roads. The Japanese automaker has made multiple changes on the outside which make it look fresh amongst a sea of sedans now vying for buyer’s attention in the C-segment. At the front, the Sunny gets new headlights which are bigger and seem to have taken a slight inspiration from the Altima and Teana with its arrow boomerang shape finishing on the side running deeper into the body. The grille too is new and bigger with thicker chrome surrounds. The front bumper is new as well with a chrome lip while the new fog lamp housing gets a chrome surround. The side remains quite similar, the rear view mirrors are new with side indicators while new wheels caps/alloy wheels (Y-shaped 12-spokes) make a debut. If you are one of those who never forget to carry a stopwatch during their drives, you can leave it at home for this one. The Push engine start key does its job in this one as well. The 2011 Nissan Sunny is not the one that can be termed as the driver`s delight. The Sunny is powered by a 1498 cc, 4 Cylinder, 16 Valves DOHC engine. The power figures are decent 99 PS @ 6000 rpm and a torque of 134Nm @ 4000 rpm. These figures are not performance oriented, especially if power to weight ratio is considered. For every single bhp it pulls 10.32kgs which makes the car obviously sluggish. The mid range power delivery is not as impressive as its American rival. The gear shifts are not something which would go unnoticed. It`s on the harder side. We did some performance driving but were struggling to reach the top whack.What earns my thumbs up is the low range revving of the motor. At lower revs and at higher gears, The Sunny won’t struggle or knock. It maintains its own calm. The Mcpherson suspensions were not totally tested by us, but still we got a nimble response from it. The front Mac Pherson strut and the rear torsion bar suspension set-up works well for the Sunny and is a blessing on the kind of roads found in India. It is very forgiving and can take on any pothole or bump without sending you straight to the first spinal cord clinic en route! This works against the Vettel types who would seem to be all at sea with the car wallowing in the high speed corners but then there is always the 370Z and the GTR for this lot. Excellent ground clearance is another major attribute for our terrain, yes, urban and rural and thanks are also due to the 185/65-R15 tyres (ours was the top-of-the-line offering which has this size rubber while the other two versions make do with 185/70-R14 Bridgestones) for the fine poise and the ride quality. Among the other positive attributes of this big ’un in a very competitive segment poised for take-off is the fine and comfortable driving position with ample all-round visibility coupled to a very light yet precise steering. Both of these make themselves felt and count when gliding through traffic on our city roads despite the obvious girth of the vehicle. The Sunny has always been the stepson of the segment, recommended to those who want value rather than features or snob value. No more, not with the features list that is now available with the Sunny. Nissan has gone for a relatively safe strategy and not offered a top-spec petrol (yet), instead preferring to promote the diesel. If Nissan manages to keep the 2014 Sunny within Rs 20,000 of its predecessor, it will make an extremely strong case for itself if you’re looking for an alternative to the segment’s usual picks, the Honda City and Hyundai Verna. Yet another reason for its success is t hat the Alto has been evolving to reflect the changing India. Over the years, Maruti has been arming it with just the right features a buyer looks for in an entry-level car, and subtle but timely design updates; these have been appealing to customers. 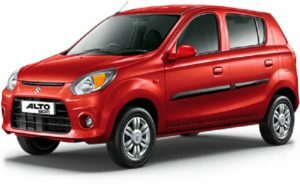 Mechanically, the new 2016 Alto 800 remain unchanged. This means that powering the refreshed Alto 800 is the tried and tested Suzuki F8D 796 cc, three-cylinder engine that comes mated to a 5 speed manual gearbox. This motor pumps out a max. power of 47.65 PS @ 6,000 rpm and a peak torque of 69 Nm @ 3500 rpm. The Alto is available in both Petrol and CNG avatars. 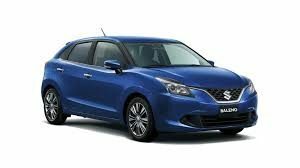 Maruti could give the engine an ECU remap to further optimize the fuel mileage. 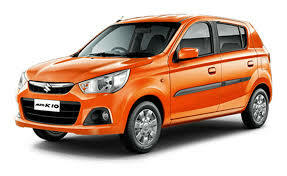 As we said, the Diesel model of the Alto 800 won’t be launched anytime soon. However, powering the Diesel Alto will be a 800 cc, twin-cylinder engine that has a maximum power of 47.5 PS and peak torque of 120 Nm. DRIVING . The Alto 800 has a feedback rich steering though it feels a bit heavy at crawling speeds. However, the steering is very direct and despite being such a small car, the Alto is quite fun to drive. Thanks to its small footprint, you can easily drive it around and tackling too much traffic doesn’t get easier than this. The ride is very flat at low speeds and it tends to get uncomfortable when you hit broken or uneven surfaces at even moderately high speeds. The car remains decently stable at high speeds but it’d be best if it is driven below 90 km/hr. The body feels very light and the super thin tyres have questionable grip levels. The Fiat Linea has always been an attractive looking car and in spite of its age, it still manages to look very good and appealing, the vehicle hasn’t dated much even after being launched more than six years back. With the facelift, Fiat wants to inject freshness in the Linea and they have succeeded to quite an extent. While the pre-facelift model will be continued to be sold in India in Linea Classic avatar, the updated model isn’t vastly different in external appearance with most body parts being identical. In fact some even prefer the old car’s classy looks over the new model’s busier styling. What ever said and done, stay with the facelifted Linea for a couple of hours and you are bound to like the new model’s fresher looks. Up front you get a new grille along with a new bumper which drastically differentiates the face of the car with the pre-facelift model. On the sides there is little to differentiate the old and the new which isn’t much of a matter as the Linea has always had an attractive profile. The key difference on the side is of course the new alloy wheels and the turn indicators on the rear view mirrors. At the rear, revision to the boot and bumper of the Fiat Linea are the biggest changes with faux diffuser sitting on the lower half of the rear bumper. The number plate no longer resides on the rear bumper but is now placed on the boot, between the tail lights. The Fiat logo has been shifted further upwards on the tail gate while the thick chrome strip above the rear bumper gives that premium touch. Overall the Fiat Linea facelift looks fresh and is much more appealing than the old model. The interiors have the same layout. However, what the Fiat Linea 125S gets are some additional features. For instance, there is now a touchscreen system which also has navigation. The Microsoft Blue & Me is now gone. The new touchscreen is a bit small, but it is good enough. 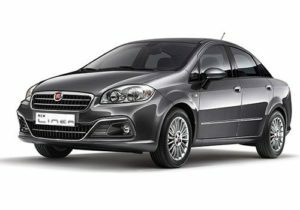 The Fiat Linea 125S gets rich leather interiors and speaks a lot about attention to quality. Where the Linea excels is clean interiors with decent stowage space. The turbo-petrol motor now develops 125PS of power and 208Nm of torque. That’s 11PS and 1Nm over the older T-Jet. Is the extra oomph noticeable? Not entirely. The engine feels just as sprightly as before, and you’d have to really wring the living daylights out of it to make the extra horses sweep into action. Get going, and it picks up pace cleanly till the rev needle hits the 2,000rpm mark. Once past this, you get the 208Nm in one concentrated shot that can easily get addictive. Bury the accelerator pedal into the mats, and the 125 S will torque steer like nobody’s business. Much like the Punto Abarth, the engine has a nice raspy note and the exhaust behaves like its sitting in a church. The engine has plenty of power for you to behave like a hooligan with. Keep the motor on the boil and it’ll reward you by plastering a grin on your face. Sadly, though, the wallet won’t be too happy. The claimed mileage figures have dipped from a respectable 15.7kmpl to a decent 14.2kmpl, but, out in the real world — expect somewhere around 10kmpl for mixed driving conditions. Is the gearbox still rubbery? Ah, yes. How I wish I could say it was otherwise. Good news is that it doesn’t completely ruin the experience. It takes you a little time to get used to the rubbery action, post which you can stretch the Fiat’s legs. Speaking of legs, the clutch on the Linea can be an absolute pain for the left one. The travel is simply too long and can get plain annoying when you’re stuck in bumper to bumper traffic. Low-speed ride is a strong point with the Fiat. The well-tuned suspension does just enough to not upset the cabin when bad roads raise their ugly heads. Moreover, the healthy 190mm of ground clearance gives you that extra bit of confidence whilst tackling broken terrain. The flipside is that the soft suspension tends to make the ride slightly ‘floaty’ once you move into triple-digit speeds. We’re sure a set of stiffer springs will make the Linea a lot more fun, especially around a set of twisties. This is a firmly set-up car but has a pliant and supple feel over potholes. Ride comfort or ground clearance are both non issues, and the handling is quite engaging. The Apollo Alnac tyres, which earned quite a bit of flak in the more powerful Abarths, feel just about up to the job here. They have good traction, even in the wet, and only tend to spin up easily in first gear.The hydraulically assisted steering wheel is a bit on the heavier side in the city, and the large turning radius can be tedious in the city. Fiat recommends a cold tyre pressure of 36psi for the front and 33psi for the rear. Any lower and the heavier engine in the front will make you work extra hard to steer the car. I think it will really be a close call between the Vento TSI and the Linea when it comes to driving pleasure in this segment as both cars take different routes towards entertaining the driver. The Linea 125s gets ABS and EBD as standard while you can also expect dual front airbags as well for the safety of the passengers inside. This car has value-for-money package featuring all the essentials that are required to be a perfect family car. It features an automatic climate control unit with rear knee level AC vents..Cruise control, ambient lighting on dashboard and other functional features make this sedan a tough competitor. The Linea 125s definitely does not get lot of cosmetic upgrades but the subtle changes have actually made the car look more sophisticated. What will appeal to the customers though is the new powerful 1.4 Litre T-Jet petrol engine and all that power and torque that it actually generates from the engine. Hopefully Fiat has also worked on the gearbox as well just like we mentioned little earlier in this article to actually do some justice to the engine and all that power and torque that it generates. On the short 70 kilometre drive the Alto showcased just how brilliant its ride quality is especially in urban areas over some rough roads. The gas-charged shock absorbers on a MacPherson strut assembly at the front and a 3-link rigid axle at the rear give it superb low speed absorption qualities. However, as the speed builds up and the corners get tighter or the surface undulating, you realise just how woefully inadequate this suspension is. There is a lot of body roll and you need to be able to react quickly enough to offset the suspension getting upset at being pushed hard around corners. The Maruti Suzuki Alto therefore is best experienced between the speeds of 60-80kmph and anything beyond is just asking it to perform over and above its station. The steering too is reasonably precise at lower speeds with enough weight to give you a well connected feel but as you go faster it gets vague and the communication between steering wheel and tyres a bit disconnected. The Alto K10 is a move in the right direction by Maruti Suzuki. It has a lot of short comings, but the major flaw of the Alto has been answered, it is no more sluggish and never feels out of breath, something which the 800cc Alto could never boast about. It is the fastest car you can get at that price point and is economical too. The performance of the K10 motor very well makes up for all its short comings and if some one wants a pocket rocket, this is it. Add some good rubber and a few short comings of the Alto K10 will be resolved. There is truly no alternative to the Alto K10 and Maruti Suzuki have opened a new segment, the econo-hot hatch one. It isn’t common for a mainstream hatch to deliver on speed, practicality and efficiency in equal measure, but the Baleno RS has that specific brief nailed. More on that later though. Coming back to the heart of the matter, in a few years this new turbocharged engine will certainly replace the existing 1.2-litre K Series NA motor. We got acquainted with it earlier this year when we drove the Baleno RS at the BIC, coming away impressed overall. However, now it’s time to gauge the car’s real-world credentials and limitations through a full road test treatment. It was the Renault Duster that had kicked off a storm in the affordable SUV segment in India. Before the Duster arrived, the Mahindra Scorpio and Tata Safari were ruling the roost but Renault clearly knew what the Indian buyer wanted. 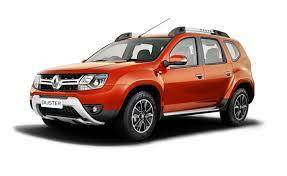 The Duster became quite a success story and it also established the Renault brand in India. However, it’s been almost 4 years since this SUV was launched and it started feeling very outdated, what with rivals coming up with far more polished vehicles. Renault has now given the Duster a new lease of life so let’s see what we’ve got here. You also get a set of silver skid plates on the front and the rear bumper and a chrome exhaust tip that adds to the look. The overall SUV look of the Duster combined with the wide stance are still very much as they are and all these smaller updates actually help accentuate it. Although a little late to the party, the upgrades on the Duster make it look quite nice and modern and personally I prefer the simplistic lines on this car as compared to the over the top design of some other SUVs in its segment. As a final note on the design, we personally love this new and bold orange shade that the Duster now comes in. The cabin is quintessentially Renault, from the odd-numbered speedometer, the large steering wheel, sub-par plastics to the quirky layout overall. When the Duster was introduced in 2012, poor interior surface feel was one of its main shortcomings. Now, though, Renault has improved the quality of the surfaces, there is still a low-rent feel to the doors and centre console surrounds… more on this later. Coming to the design and layout, the previous model’s old-school design has made way for a somewhat modern look. The combination of black and brown upholstery and silver highlights across the centre console and the door panels do a good job of hiding the cabin’s age. The centre console’s layout is pretty minimalistic with the central fascia dominated by a touchscreen infotainment system responsible for almost all the functions on board. Rounding out the major changes to the dash are the revised air-conditioning controls which are set painfully low. Mind you, this isn’t the only quirk in here. The driver’s seat height adjuster still requires bit of an effort to operate and having separately placed buttons on the steering wheel and the centre console for the cruise control isn’t the brightest of ideas either. Thankfully, the rear-view mirror controls are no longer underneath the handbrake and are now on the driver’s side panel. As for space and comfort, the Duster remains unchanged and in no way that’s a bad thing. The front seats are just about the right size and offer enough back and knee support. They also helped us to limit fatigue over a full day of full-on driving. More importantly, the rear-seat space is also plentiful with better thigh support than the competition. What’s noticeably changed, though, is the amount of standard equipment; Renault is finally offering climate control for top-spec variants while other highlighting features include rear-view camera with guidelines and an updated touchscreen infotainment system. All in all, the Duster’s cabin still doesn’t feel as premium as the competition, but there’s no denying that it’s more appealing than before. If anything, it’s certainly more luxurious than its badge-engineered sibling, the Nissan Terrano. The Renault Duster comes with the same 1.5-litre dCi diesel powerplant in two states of tune – 84bhp and 109bhp. There’s also a 1.6-litre petrol engine mated to a five-speed manual gearbox. The biggest addition though is of the automated manual transmission (AMT) on the more powerful diesel version. Renault also claims to have improved the packaging of the engine bay and have strengthened it in key areas to improve safety. But as soon as you put your foot down you get that typical AMT pause as the hydraulic actuators struggle to downshift quickly enough to keep up the momentum. Even in stop-start traffic, power delivery can be jerky and upshifts at lower speeds feel painstakingly slow. It’s in the manual mode that this gearbox feels the best and there is a way of getting around this drawback by just lifting off before every shift. Unfortunately, this defeats the whole purpose of having an automatic in the first place. Despite the slow gearbox, performance figures are quite impressive with 100kmph coming up in 13.61 seconds. But it’s in the drivability test where the Duster AMT suffers as it takes 8.08 seconds for the 20-80kmph dash and 10.46 seconds in the 40-100kmph kickdown. This makes it nearly two seconds slower than the Hyundai Creta automatic on both drivability runs. We also sampled the AWD version of the Duster and as before we came away really impressed. The AWD variant uses shorter gearing as compared to the 4X2 variant and this helps its drivability considerably. There is loads of pulling power from the word go and even at speeds as low as 20kmph you can easily pull away in third gear. Renault seems to have made the clutch lighter too which makes town driving a hassle free affair. The New Renault Duster AMT is surprisingly a delight to drive. What came to notice instantly is that it responds well to throttle inputs. Drive with a heavy foot and the upshifts get delayed, thereby providing adequate power. The AMT is very easy to drive in the city. The good part is that the usual lag during shifts, that AMTs have, is reduced and is hardly felt while driving in a relaxed manner. Its only when you push the New Renault Duster AMT hard that the lag is evident. Another impressive thing about the New Renault Duster AMT was that while driving in the manual mode, rev-limiter comes in to play only beyond 5000 rpm. This gives ample room to the driver for maneuvering the SUV as desired and is especially useful while driving in hilly areas and ghats. I would’ve preferred a slightly taller gear selector lever in the AMT. The lever in the New Renault Duster AMT feels a tad short and hence one needs to stretch out a bit more than normal, while driving in manual mode. Despite the automobile scenario being a bit dull overall, the Duster has still come in at just the right time for Renault India. While it is still going to be a tough task to keep the tempo going for the Duster, it is quite clear that it is not without reason that prospective buyers are queuing up for test drives and causing traffic jams outside Renault showrooms around the country.